Tübingen archaeologists discover over 12,000-year-old images of animals in eastern France. 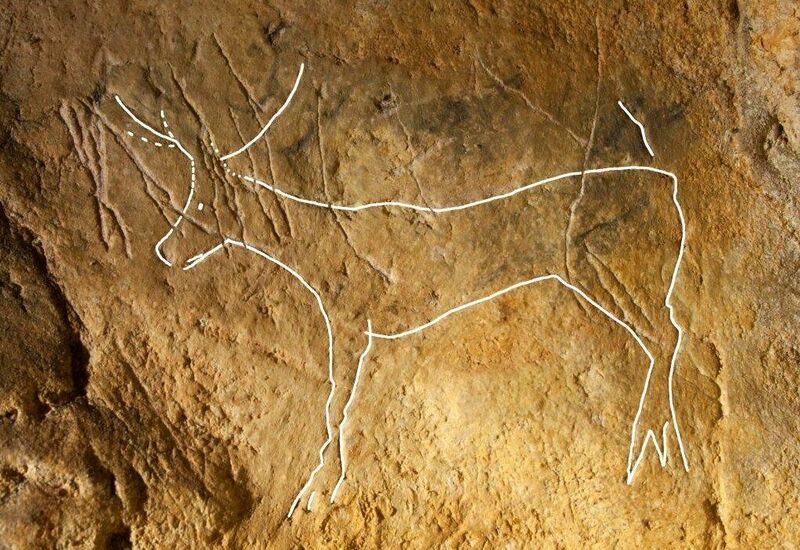 University of Tübingen archaeologists have discovered two caves containing prehistoric wall art in two French caves. The paintings and engravings were created at least 12,000 years ago, when anatomically modern humans made images of a type of prehistoric deer and a horse in silhouette. A group of researchers headed by Professor Harald Floss of Early Prehistory and Quaternary Ecology worked with Spanish colleagues to date the art, using complex new methods. The Tübingen researchers have been investigating the Paleolithic period in eastern France for more than twenty years. They have focused on southern Burgundy ‒ a region in which Neandertals and modern humans are likely to have met. The caves are located in the community of Rully in Départment Saône-et-Loire. “Because the frequency of palaeolithic sites is particularly high here, researchers have suspected for some time that there would be a cave with paintings in it,” Floss says. For the first time in 150 years of prehistory research in this region, Floss adds, it has now been proved that early modern humans entered the caves there to create art. In the Grottes d’Agneux they used stone tools and painting to make images of animals, including a horse and prehistoric deer. 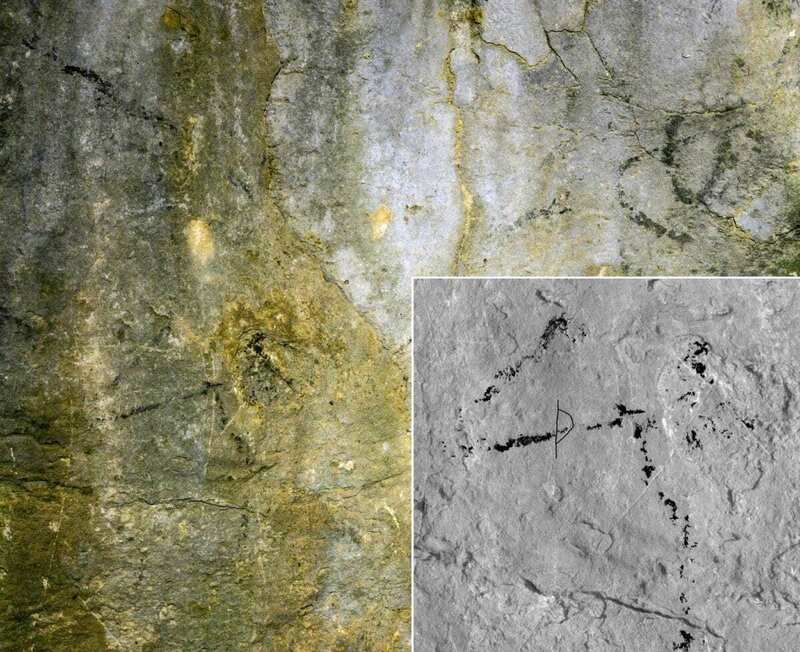 The researchers worked with an expert on prehistoric cave art, Juan Ruiz of the University of Cuenca in Spain. They analyzed the cave walls using modern scanning techniques. Because the images had been covered with later graffitti from the 16th to 19th centuries, the archaeologists used special image-processing computer programs to reconstruct the original works underneath the other layers. They also compiled many individual photos into a photogrammetric documentation of the works in order to give them a more three-dimensional look. Some 600 students have taken part in the many years of Tübingen excavations in France. Some 30 theses – at the Bachelor’s, Master’s and doctoral levels – have been written in connection with the work here.